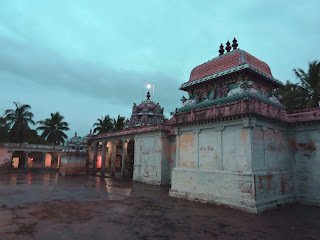 This temple praised by Saint Thirugnanasambandar in Thevaram is located at Thiruchopuram near Cuddalore. 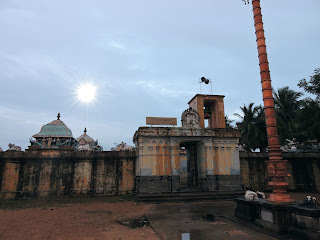 On the Cuddalore to Chidambaram after about 18 kms, there is a diversion on the left at Alapakkam and after crossing Alapakkam railway crossing we can the reach the temple in 1.5 kms. It is said that in olden days, this temple has been completely covered by sand due to surging from the nearby ocean. This has been later discovered by a devotee when he noticed the tip of the gopuram emerging from the sand and he took the help of the nearby villagers to unearth the temple and restore it to the current form. Shiva lingam in this temple has been created by the great sage Agathiyar. VERY EXCELLENT PHOTOS. THANK YOU SIR.